Often I use gemstones in my work as a focal bead. The jasper in the photo below is bead embroidered and attached to a simple peyote bracelet, adding a new dimension and interest to the piece. In the leather wrap bracelet faceted amethyst beads are used. These beads have a great sparkle to them and lend themselves to a bracelet that wraps around your wrist three times. 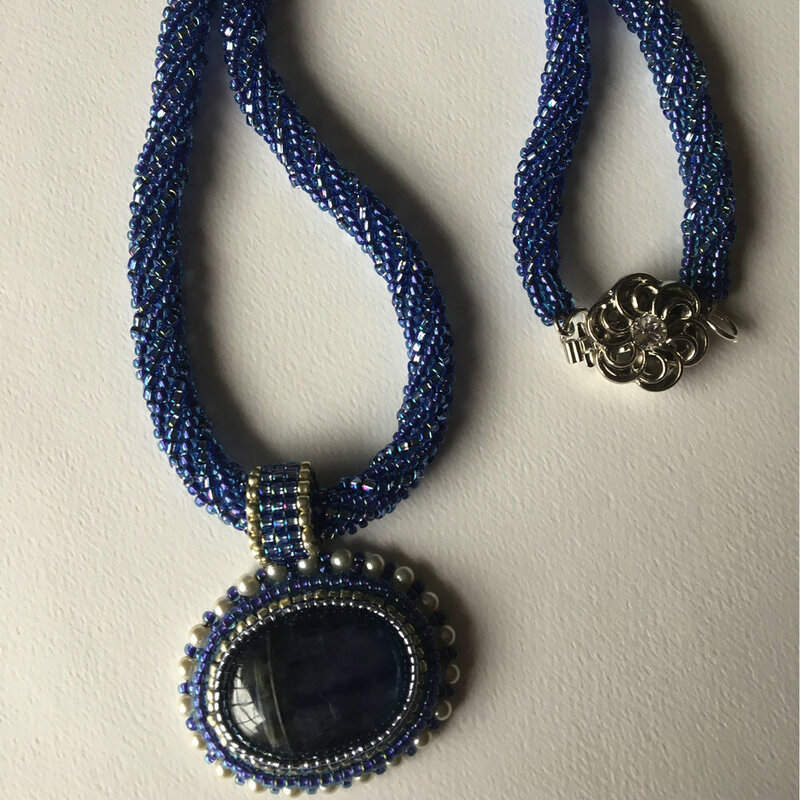 This bead embroidered pendant combines a kyanite focal gemstone with seed beads and pearls. Honestly, the only limit to the use of gemstones in beadwork, is one's imagination! Happy beading!